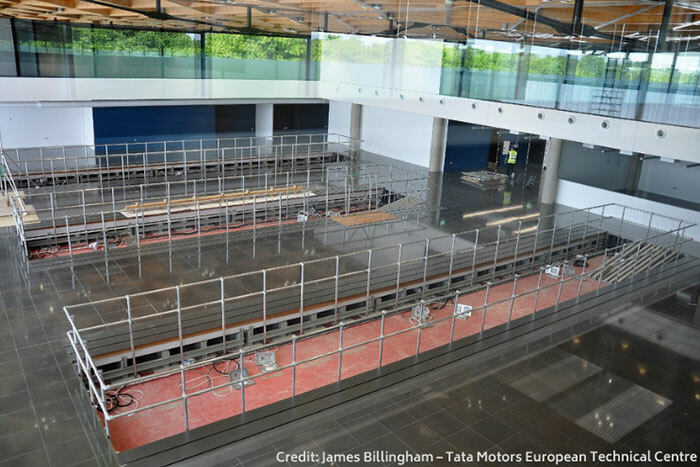 The distinctive 33,000m2 building, with state of the art equipment and world class facilities, will provide a centre for research, innovation and technology development in the UK automotive sector. Academics, engineers and designers will be brought together under one roof to create the technologies and products of the future. The space within the four storey building has been designed to facilitate collaboration, creativity and the cross fertilisation of knowledge and ideas. It will also act as a shop window for advances in British design and engineering. The Technical Department at Howe Green are frequently called upon to help develop a bespoke solution to an access challenge. Established in 1983 the company has a gained a real insight into designing and manufacturing access covers that can deliver the right aesthetic whilst fulfilling the required performance criteria. The 7500 Series Medium-Duty Floor Access Covers are available in a range of standard sizes from stock. They can be manufactured in stainless steel or aluminium as single covers, duct runs or multipart units. With a performance loading suitable for up to 5 tonne pneumatic tyre wheel load the covers can be used in areas with pedestrian traffic, cars and light delivery vehicles.